Chelsea take on Dynamo Kiev tomorrow in what should be a breeze for the Blues. They have a 3-0 lead from the first leg, and despite heading to an away match in the depths of the Ukraine, there should be no issues here. Kiev showed their limitations in the first leg, and that final glorious goal from Callum Hudson-Odoi will hopefully prove to be decisive. READ MORE: (Video): “It’s an amazing competition” – Will Chelsea win the Europa Leauge? If we are indeed almost through, it’s a great chance for Maurizio Sarri to rest some players. We already know from bitter experience this season that he’s not going to play a bunch of kids, but surely after a busy period Callum will get a start. Ruben Loftus-Cheek’s back injury makes him less certain, but the way he’s favoured as an option off the bench shows that Sarri likes him, and if he’s fit to play a full game we might well see that. That will probably be it for youngsters. 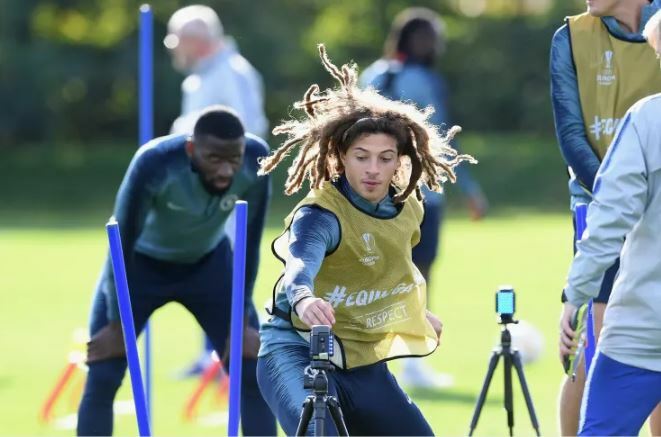 We’d all like to see Ethan Ampadu too, but given our coach’s reluctance to use him so far, we don’t expect much. (Video): “It’s an amazing competition” – Will Chelsea win the Europa League?